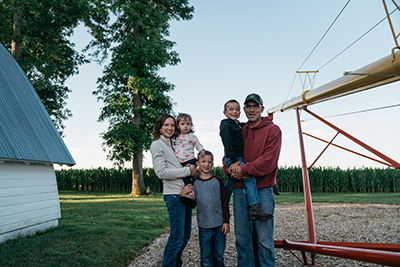 Matthew and Nancy Bormann are corn and soybean farmers near Algona, Iowa. They strip-till most of their crop acres and help to advise farmers aspiring to strip-till. The Bormanns also produce hybrid seed corn and seed soybeans for a major seed company. Matthew and Nancy have three children: Reece, Quinn, and Greta. 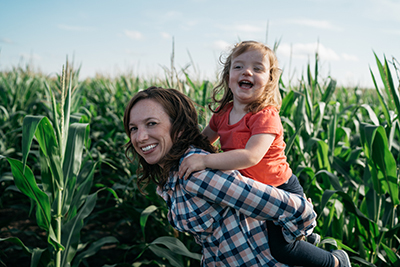 Nancy works full time as an agronomist for a livestock business, working with farmers with nutrient management planning and to stay in compliance with environmental rules and regulations. 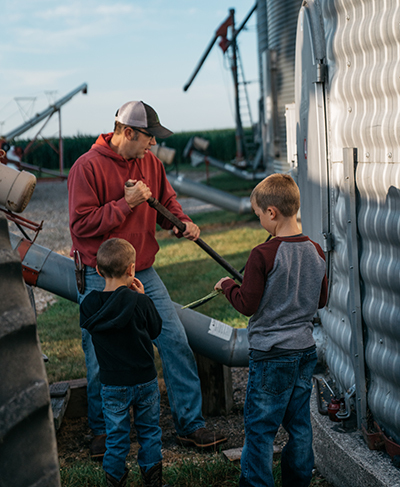 We farm with full emphasis on conservation, good land stewardship, and the goal to make farming better for future generations. This is how we define sustainability. They said that it could not be done in North Central Iowa, but we are successfully no-till, vertical-till, and strip-till farming.